This year’s Wine List Confidential guide to London’s best restaurants for wine lovers is being compiled right now. Due to be printed in time for this May’s London Wine Fair, it will once again be the most comprehensive guide to the best places to drink in the capital. Not only will Wine List Confidential be hosting its annual awards ceremony at the London Wine Fair – designed to celebrate this year’s top performing somms and best wine lists – but there will also be 2000 copies of Wine List Confidential distributed throughout the exhibition. The guide also has the added benefit of bonus distribution alongside the June issue of the drinks business magazine, which has a global circulation of 11,000. 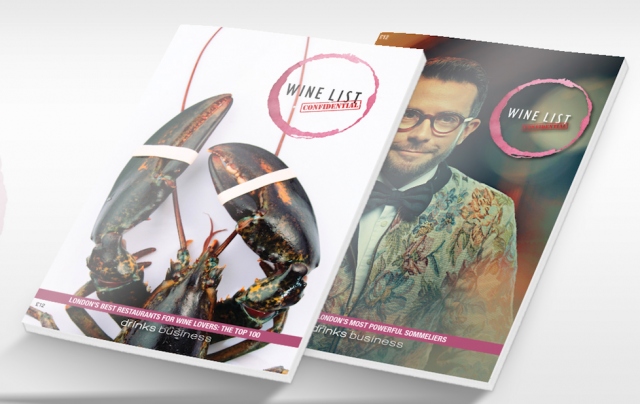 Launched by the drinks business in 2016, Wine List Confidential is a unique guide that uses a numeric rating system. This allows wine drinkers to quickly compare the wine on offer in restaurants, no matter the food or format, highlighting the very best restaurants in London for wine.